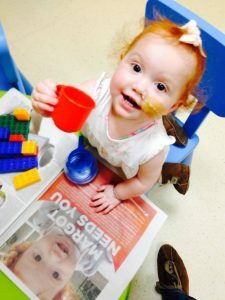 Margot had an extremely rare dual lineage Leukaemia with both Acute Lymphoblastic Leukaemia (ALL) & Acute Myeloid Leukaemia (AML). The consultant haematologist told us that he had only seen 3 such cases in 10 years. 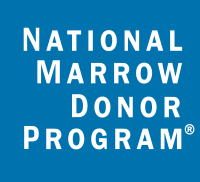 Five years ago today, my daughter Margot received her bone marrow transplant, thanks to an anonymous male donor from Germany. 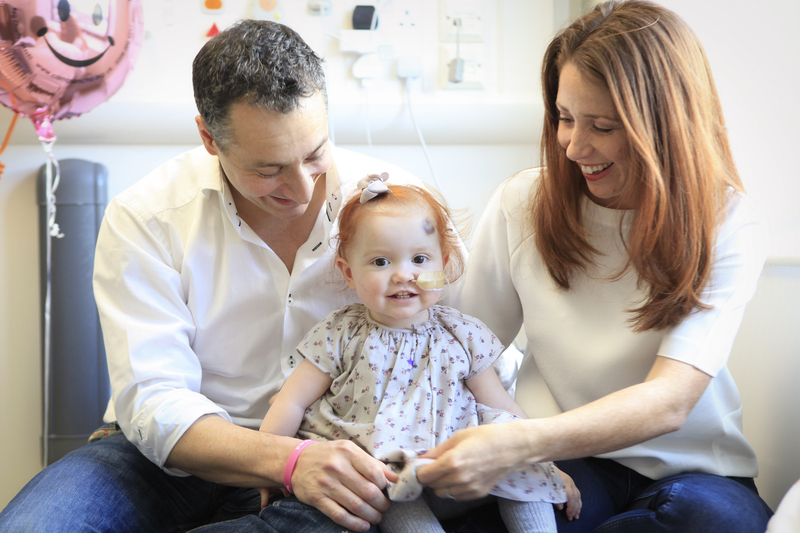 Whilst the transplant didn’t succeed, our family is nevertheless unspeakably grateful to the anonymous bone marrow donor for his gift of hope and the extra time we enjoyed with Margot. We usually mark this time by reviewing the charity’s activities for the previous year, however today we are instead looking to the 12 months ahead, which will be dominated by… rowing ! 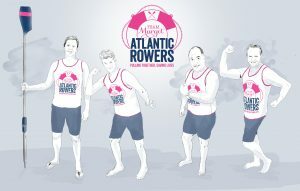 Team Margot has twice entered a mixed rowing team into the Celtic Challenge, a 95 mile rowing race across the Irish Sea. Our first attempt was thwarted when the race was cancelled because of stormy weather, however we made the most of all the training by winning the time trials around Aberystwyth harbour ! Our skipper and team motivator throughout has been Martin Beaumont, who initially telephoned me, right out of the blue, in January 2014, when we were in the midst of Margot’s appeal. 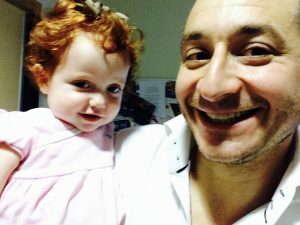 Martin is a father to two boys, who are a similar age to our two eldest and he’d heard about Margot’s appeal from other parents at our children’s school. 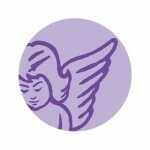 He empathised with our situation and as is his way, quickly came to the point: “Tell me how I can help”. It was immediately clear to me that Martin was a “doer” and I think it’s safe to say that I’d never met anyone quite like him before. 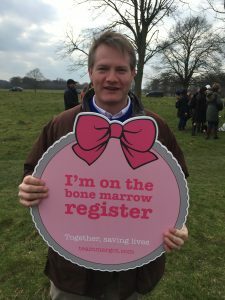 I explained that what we really needed was more potential bone marrow donors, which required getting people to join a register; the process is actually very simple, however in order to stand a chance of being helpful to our daughter, I explained that we really needed this to happen on a large-scale. We soon met and thereafter, we literally had three more brief telephone conversations before a national print and online media advertising campaign launched, with full page, half & quarter page adverts in every national newspaper and with appearances across all digital channels. I later learned that Martin had formed a small team of school parents, including a creative director James Howard-Vyse and advertising executive Caroline Foster Kenny to activate this initiative, something that might have otherwise cost around £250,000. 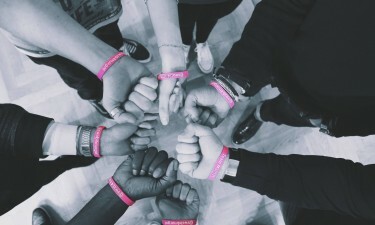 This media campaign was precisely what we needed at the time and the impact that it had was a hugely positive boost, helping to sustain the momentum that had already been created and sparking other opportunities within the national TV, radio and online media to spread the message further afield. 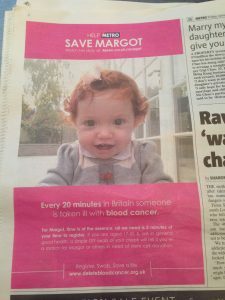 In the event, Margot’s appeal saw over 50,000 people request swab kits online in the UK alone and her appeal appeared in the media of more than a dozen countries around the world, during that six week period. 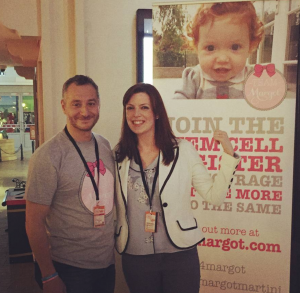 Martin and his family became our good friends and after Margot’s death, we continued to campaign, as Team Margot, for more people to join the stem cell and bone marrow registers. 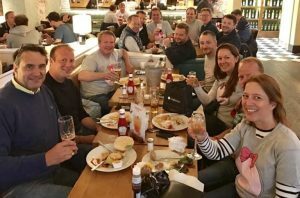 More recently, Martin came up with another idea to not only support Team Margot, but also to address a long-held personal ambition; this time the idea was to enter a team to row across the Atlantic Ocean. In December 2019 the Team Margot Atlantic Rowers will be competing in the Talisker Whisky Atlantic Challenge, rowing 3,000 miles across the Atlantic Ocean. 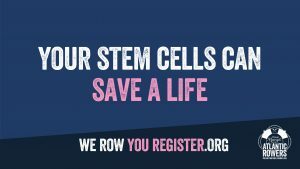 Each time the team row a stroke, we want someone to register as a stem cell donor. 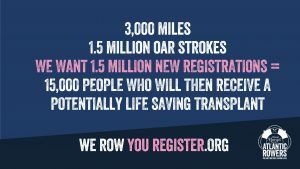 It takes about 1.5 million oar strokes to row across the Atlantic, and we want 1.5 million people to register as stem cell donors. If we were to achieve this goal of doubling the size of the combined UK stem cell registers, then statistically there would be over 15,000 patients who would get a potentially life saving stem cell transplant. It’s an outlandish target and to succeed, this needs to become a major national outreach campaign. I believe there is an opportunity to unite the country around stem cell donation; whilst our differences matter, our common humanity matters more ! Please help support by following, sharing and encouraging people to join the stem cell register. And if you have ideas, contacts and influence that might help spread the message far and wide, I’d love to hear from you. 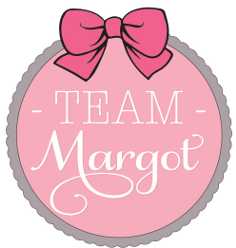 We set up Team Margot Foundation in January 2015, in memory of my daughter, Margot and to honour her legacy. 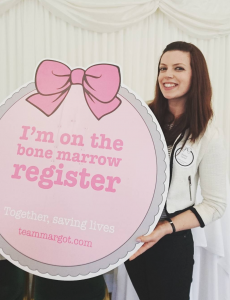 A year earlier, Margot’s patient appeal for a bone marrow donor saw over 50,000 people in the UK alone requesting swab kits online, in order that they could join the register as potential donors. 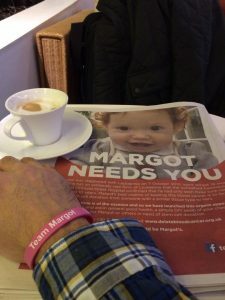 Margot’s appeal was covered by the media in thirteen countries and because Team Margot had built a following, we simply continued campaigning after Margot’s transplant, for the greater good. 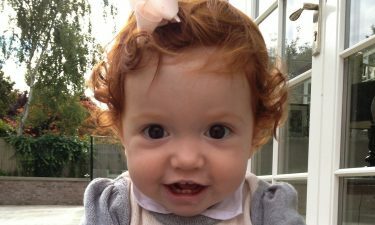 Margot’s mixed heritage was the key reason we were unable to find her ‘perfect match’ and we soon learned about the stark disparity between the 69% chance of a White Northern European blood cancer patient finding their 10/10 antigen match and the 21% chance of a Black, Asian or Minority Ethnic patient finding their equivalent match. It turns out that the odds are worse still if, like Margot, you’re mixed race. 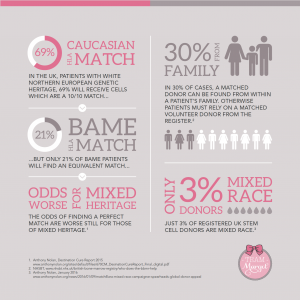 This under-representation of Black, Asian, Mixed Race and Minority Ethnic (BAME) donors on the worldwide bone marrow / stem cell registers is also the prevalent issue when it comes to the need for more blood and organ donors too. Our work has revealed that Margot’s story resonates with children of primary school ages and that young children are able to recall salient details remarkably well. That’s why, in partnership with NHS Blood and Transplant, we created a tailored education programme for primary schools called ‘Giving to help others’, which starts with an assembly presentation. We recognise the need for our education and awareness programme to reach out to teachers, teaching staff and also parents and the wider school communities outside the classrooms, in addition to the children themselves. 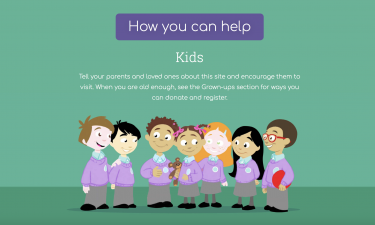 During the course of the last few weeks, the ‘Giving to help others’ assembly presentation has been piloted in several primary schools within the London borough of Southwark. We have attended these assemblies, strictly as observers and are awaiting the analysis of the feedback forms received from 725 pupils and 22 teachers. Thank you again to everyone involved. It’s a very fluid and iterative process, however I’m pleased to tell you that our learnings are already helping to inform next steps and how best to assess and encourage greater social impact, in order that more people sign up as potential stem cell donors, give blood and register as organ donors. It took a loved one for me to change my own attitude and behaviour towards donation and I very much hope that others will embrace the culture and philosophy of ‘Giving to help others’, without first having to suffer their own family tragedy.